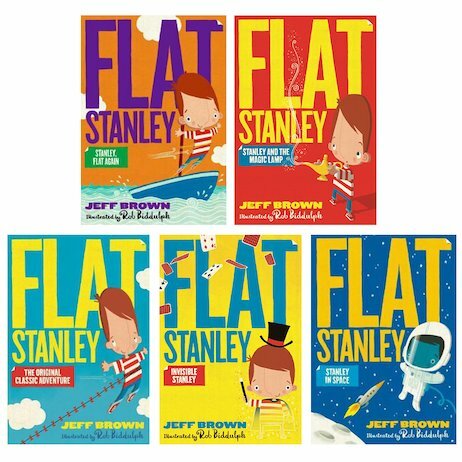 Stanley Lambchop is the world’s favourite flat boy. He’s been as flat as a pancake since a giant pinboard fell on him. Ouch! But it’s not all bad news. In fact, being flat is kind of awesome. Stanley can fly in the air like a kite, or be posted by mail in an envelope. And even when he’s not flat, Stanley still gets into odd scrapes. He can turn invisible and foil a bank robbery. He even makes friends with a genie! Get in on the action in these classic stories. The boy is flat. The laughs are not.